Volvo has added R-Design trim to the V60 Plug-in Hybrid. The new spec gives the V60 a sportier appearance, with uprated front bumper, grille and rear diffuser. Prices start at £46,675 (including £5000 Government grant) and UK deliveries will start in August. As well as a sharper appearance, the Volvo V60 D6 AWD R-Design Lux Nav gets an improved interior, with sport seats, sport pedals and a charcoal headlining. Volvo's telematic system is also fitted as standard, which lets the driver to stay in touch with their car via a free mobile app. The V60 Plug-in Hybrid’s powertrain remains unchanged, with the front wheels powered by a five-cylinder 2.4-litre turbodiesel producing 215PS and 440Nm of torque while the rear axle is powered by an electric motor that offers 70PS and 200Nm of torque. As with the standard model, the V60 will feature a six-speed automatic transmission and offer three driving modes: Pure, Hybrid or Power. Choosing 'Pure' mode will allow the driver to cover up to 31 miles on electric power only, while the default 'Hybrid' mode will offer the best balance between performance and economy, with 48g/km of CO2 and a claimed 155.2mpg. However, if performance is your thing, the V60’s 'Power' mode will be for you, combining the diesel and electric motor to offer 285PS and 472lb ft of torque. 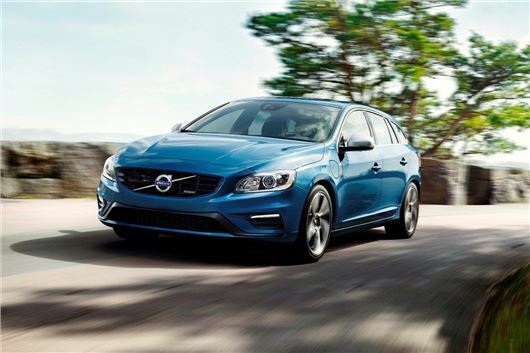 Prices start at £51,675, but the V60 Plug-in Hybrid qualifies for the Government’s £5000 grant for low emission vehicles and this lowers the asking price to £46,675.